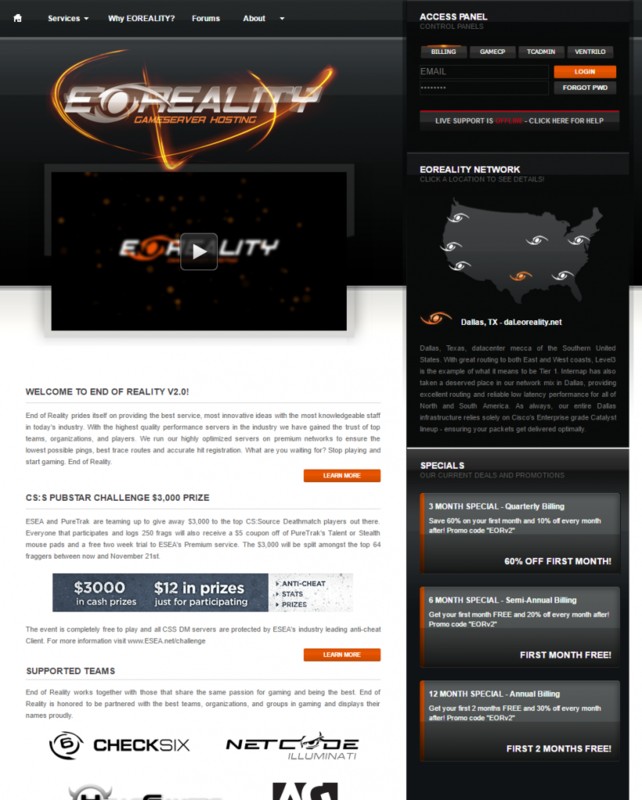 End of Reality provides premium game servers for hit titles like Battlefield, Call of Duty, and Counter-Strike. The company uses the TC Admin game server control panel system to give its customers access to their game servers. TC Admin provides secure access to game server files and settings with the possibility to install custom mods and configurations. Strategy Star had the explicit pleasure of working with EOReality founder, Robby Hicks, to implement the new vision for the company website. The website features new interactive features such as a clickable map of server locations offered by the EOReality network and a multiple destination login box for the different service panels offered by the company.